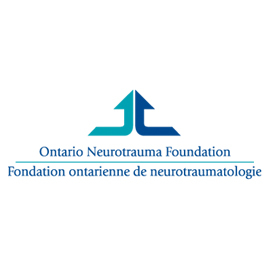 Ontario Neurotrauma Foundation (ONF) is funded by the Government of Ontario and supports research and practice in the field of neurotrauma. ONF’s mission is to reduce the incidence of neurotrauma injuries and to improve the quality of care for those living with a spinal cord or acquired brain injury. ONF's vision is putting neurotrauma research and innovation in action: changing lives, changing attitudes and changing our public systems to make a stronger Ontario for all our citizens.